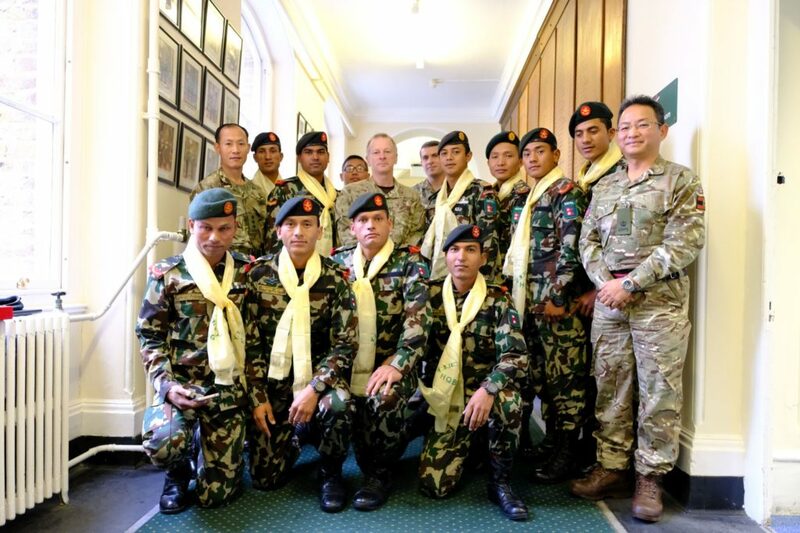 The Nepal Army Cambrian Patrol team 2017 official visit to the Headquarters Brigade of Gurkhas on 23rd October 2017. 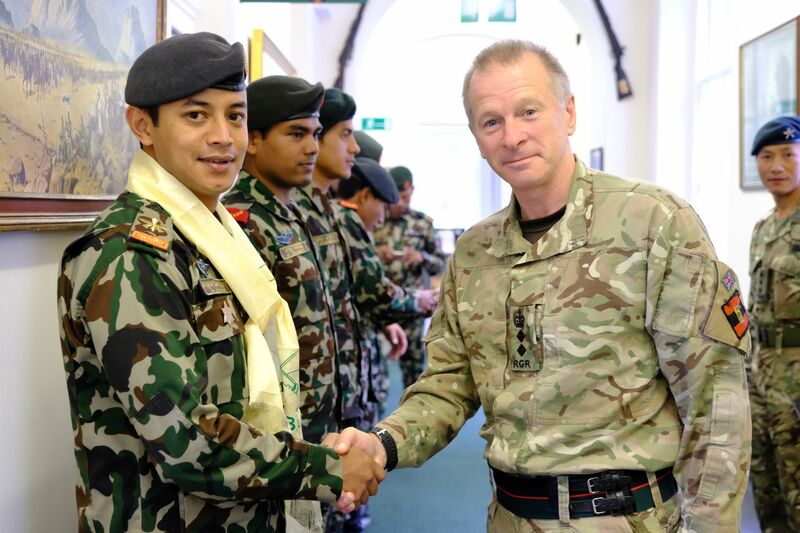 On arrival to Robertson House, they were welcomed by Colonel Brigade of Gurkhas, Colonel Robinson with traditional Khadas. They were also congratulated for their success in securing gold medals in Cambrian Patrol, only 8 other teams from around the world were awarded gold medals for the 2017 patrol. Exercise Cambrian Patrol is a continuous 36-hour, long-range patrol exercise which is run annually within the Cambrian Mountains of Mid-Wales and is believed to be the hardest of this type of event in the world. The Nepal Army Team trained for 2 weeks with the 1 Royal Gurkha Rifles team at Shorncliffe who also went on to achieve Gold. The story of our other Brigade of Gurkha successes on this years event can be found on this page. Following a brief orientation of the Headquarters building and introduction to the Headquarters staff by Queen’s Gurkha Orderly Officer, Captain Dillikumar Rai, they were briefed by the Deputy Chief of Staff, Major Narendra Kumar Gurung on the Brigade and its role within the British Army. We look forward to hopefully seeing another team from the Nepal Army in 2018 for the next Cambrian Patrol.